Ever since she was a little girl, Amani has wanted to be a shepherd, just like her beloved grandfather, Sido. For generations her family has grazed sheep above the olive groves of the family homestead near Hebron. But now Amani's family home is being threatened by encroaching Jewish settlements. As Amani struggles to find increasingly rare grazing land for her starving sheep, her uncle and brother are tempted to take a more militant stance against the settlers. Then she meets Jonathan, an American boy visiting his father. 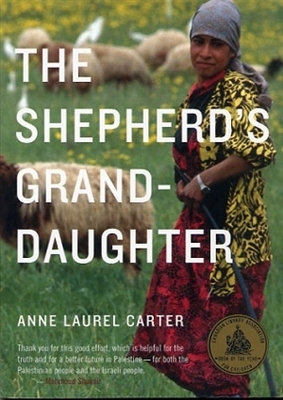 Away from the pressures of their families, and despite their differences, the two young people discover a secret meadow where Amani can graze her sheep. A moving novel about one of the most hotly disputed pieces of land on earth.